As I mentioned in my last post, I traveled to Germany in February and experienced first hand some of the ways that Energiewende – “energy transformation”, the national policy to eliminate fossil fuels and nuclear from the country’s energy mix – has manifested itself. One of the most striking was the way it has sparked innovation. Necessity is the mother of invention, after all. Dramatically rising energy costs have forced German industry, institutions, and governments at all levels to innovate, and in so doing, to adapt. Energy efficiency is one of these adaptations. Germany is home to a building design standard called Passivhaus (which, as you might expect, translates as “passive house”). This standard uses aggressive insulation, thermally efficient windows, weather stripping, energy-efficient appliances, and heat recovery ventilation to bring the net energy consumption of a house close to zero. In the North Rhine-Westphalia city of Bottrop, I saw my second passivhaus. It was a low-income housing project. That was a surprise. Here in Canada, I’ve come to associate highly efficient housing with wealth. Perhaps it’s terminology like “LEED gold” or “LEED platinum” that evokes riches by referring to precious metals. Perhaps it’s the reputation that an efficient building is an expensive building. Perhaps it was the experience of my first passivhaus, the office of a respected and successful architectural firm in Guelph. It is a lovely two-storey Victorian home whose exterior is indistinguishable from neighbouring houses. There is one exception, being the complete absence of icicles – a dead giveaway that little or no heat is escaping into the attic space to melt the accumulated snow on the roof. (This winter in particular, there is plenty of accumulated snow.) Once inside, if you are particularly observant or, as in my case, have it pointed out to you by the owner, you notice that the walls are about a foot thick. I was awed to hear that the light fixtures and human occupants give off enough heat to keep the place comfortably warm. The furnace almost never runs. Back to Bottrop, where the passivhaus I encountered was intended not for the wealthy, but for the poor. The wisdom of making social housing hyper-efficient is inescapable. As energy prices rise in excess of the overall rate of inflation, the ones that feel it most keenly are the ones on the bottom rung of the income ladder. Recipients of social assistance, as well as those not dependent on the state but earning an income not far above the poverty line, are hit hard. They are faced with the impossible choice of either keeping their house warm, or feeding hungry mouths. If the state provides housing that comes with a large and growing burden of energy bills, it will inevitably have to raise the amount of social assistance it delivers. If, on the other hand, the building can be kept at a livable temperature at little or no expense, the somewhat larger initial investment in the building pays for itself. If, as in the case of the Bottrop building, there is actually an income stream from rooftop solar panels, the logic of energy inflation is turned on its head. The occupants actually benefit from rising prices for energy, since they are using little or none themselves and have an excess to sell to the grid (and, by extension, their neighbours). Higher energy costs actually mean that less social assistance is needed. Passivhaus is an intriguing technological innovation. Similarly rooftop solar panels for electricity production. However, these are not nearly as fascinating as the social innovation of applying both technologies in the context of affordable housing. 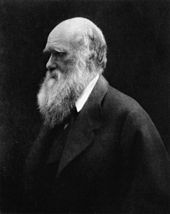 Social Darwinism is a concept that has earned much derision and disdain from those with a social conscience. The idea that those unable to provide for themselves should be abandoned to their fate, thereby strengthening the human species, has been thoroughly discredited. However, the German experience has shown that the environmental stress of rising energy costs can lead to an innovation that helps the most disadvantaged and disenfranchised. Social Darwinism is being reborn, but in a way that promises to offer the “weak” not a cold shoulder, but a warm home and some welcome extra income.